It’s hard to avoid the topic of credit. We hear about debt consolidation on the television, credit protection services on the radio, and complaints about high interest rates from friends. However, while we might want to shut out the noise every once in a while, we can’t deny the value of good credit. Every lender uses its own credit rating algorithm to assess consumer credit. They often use some form of the FICO credit scoring model, which rates consumers between 300 and 850 *. The higher the score, the better the chances of getting approved for a loan or a low interest rate on a purchase. 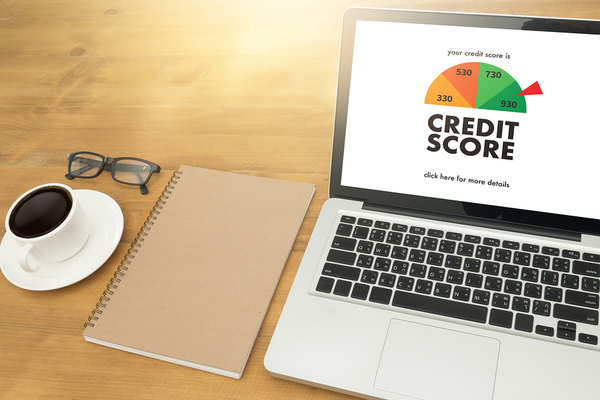 Pinning down a range of numbers for good credit isn’t as easy as it sounds. One company might approve customers with credit scores between 550 and 600, while another might require a minimum credit score of 720. Regardless, you want that number to get as high as possible so you can benefit from it financially. Why Does Good Credit Matter? No matter how much money you earn, you can’t always rely on cash to buy the things you need. What happens if your car’s transmission fails? If you can’t afford the out of pocket costs, you’ll need some type of financing to pay for repairs or a new car. Credit gives you access to credit cards, which allow you to earn rewards points or other bonuses. Plus, you can use your credit card to reserve hotel rooms and car rentals. Essentially, good credit makes life easier, especially if you practice good financial habits. A home and the land it sits on * might turn out to be your most important asset. Renters never see a return on their investment; they pay their obligation every month, and they never see it again. Homeowners, however, build equity in real property. You can later tap that equity if necessary, and you can sell the property down the road. Lastly, good credit helps consumers cultivate peace of mind. If you know that you can reach into your wallet for a credit card in an emergency, you’ll find yourself less likely to panic in stressful situations. Good credit lets you buy items you want or need even if you don’t have the cash immediately available. Many financial experts advocate a debt-free lifestyle. They point out that debt can quickly snowball out of control, and that many people can’t handle the responsibility. While it’s true that living debt-free can prove satisfying, there’s a difference between not carrying any debt and having bad credit. For instance, if you have good credit, you can use credit cards to earn rewards points. As long as you pay off the balance at the end of each billing cycle, you won’t pay any interest, so it’s no different from paying cash. However, you can use those rewards points for something you want. There’s also a difference between good debt and bad debt. Good debt is something that helps you gain an advantage in life or improve your financial situation. A home mortgage, a business loan, and student loans all qualify as good debt. You gain something from using them. Bad debt, on the other hand, offers no tangible benefits. Credit cards, when used irresponsibly, can be considered bad debt. However, they turn into good debt if you pay off your balances every month and gain rewards points. An auto loan is usually considered a bad debt because a vehicle is a depreciating asset. However, if you need a way to get to work, that car loan suddenly becomes good. This is why consumers must evaluate debt carefully and work toward developing good credit. 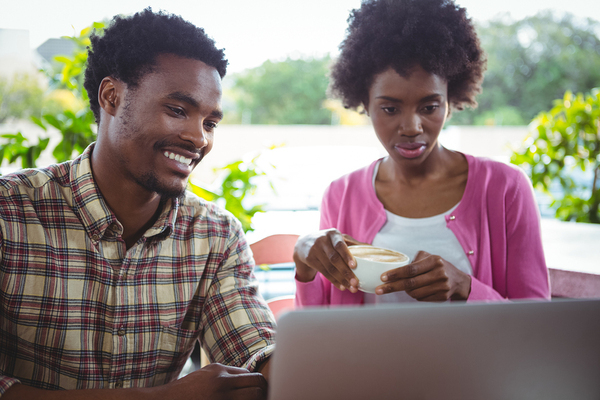 Once you have good credit, you can make these decisions without worrying about qualifying for a loan or line of credit. How Can I Build My Credit? Unfortunately, there’s no magic system for building your credit. If you want good credit, you need access to available credit and good financial habits. One strategy is to get a secured credit card. This financial product allows the possibility of gaining approval without good credit. Over time, the activity gets reported to the credit bureaus, and your credit improves. Secured credit cards are both practical and useful, and they open doors that you might not have access to otherwise. After using a secured credit card for one year, for instance, you might have built sufficient credit to apply for a car loan or get an unsecured credit card. Building good credit starts with one step, though, and you’ll need a tool like a secured credit card to start the process. Make sure to pay your bills on time, set up payment arrangements for large bills, and monitor your credit score. If you see something you don’t recognize on your credit report, dispute it with the bureau. Many credit reports contain mistakes, and you don’t want your credit to suffer for something you didn’t do. Additionally, you’ll have to wait for delinquencies and late payments to fall off your credit report. If you’ve made mistakes in the past, don’t despair. Most of those marks stay on your report for just seven years, so focus on building your credit with a secured credit card and avoiding further financial missteps. If you’re ready to build good credit and take control over your finances, get a secured credit card. You’ll thank yourself later.